Click here to order your Eco Festival and Glitterbug Kits! 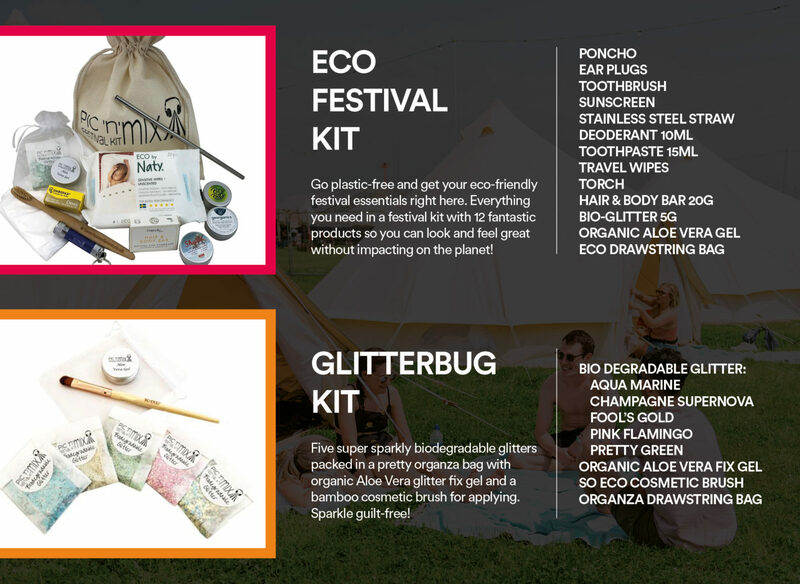 Eco Festival Kit – Go plastic-free and get your eco-friendly festival essentials right here. Everything you need in a festival kit with 12 fantastic products so you can look and feel great without impacting on the planet! Glitterbug Kit – Five super sparkly biodegradable glitters packed in a pretty organza bag with organic Aloe Vera glitter fix gel and a bamboo cosmetic brush for applying. Sparkle guilt-free!